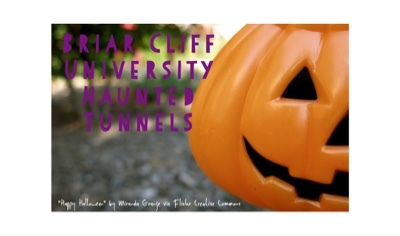 Briar Cliff University is hosting a fun haunted house in the tunnels that connect many of their buildings next week on October 26-30th from 6-10pm and on Halloween from 6-9pm. 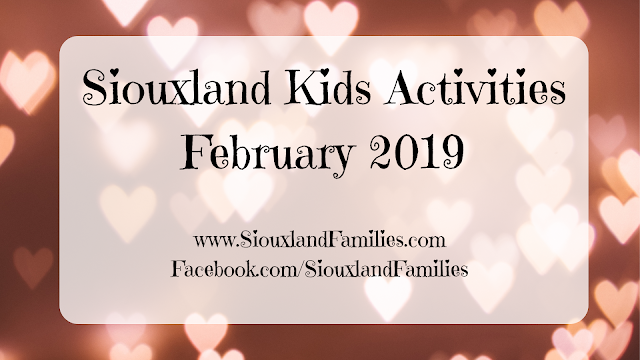 Admission is $3 for adults, $2 for kids, and $1 for Briar Cliff students with student IDs. 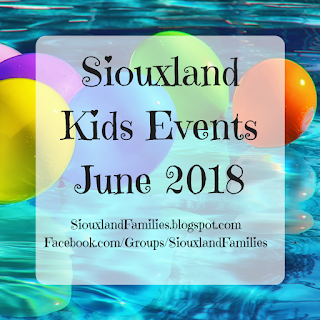 But the most exciting part of this event for families with young kids is family friendly hour! From 6-7pm each night, admission is only $1, the lights will be left on and no one will jump out at visitors. After that time, kids will be given glow sticks, but the lights will be off and characters may jump out at guests. 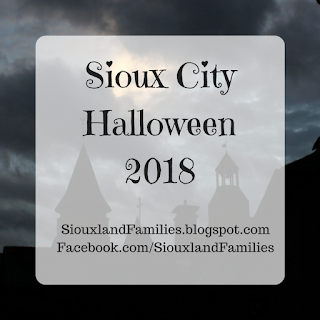 The entrance to the haunted tunnels is in Heelan Hall and proceeds go to CHOICES, a student group promoting healthy and safe choices for college students.